After our bumpy April, we expected a strong growth in May. After the Messenger platform re-opening on May 1st, we immediately notified our bounced merchants from the past month. They started using Recart and helped to boost our revenues by $15k in May. 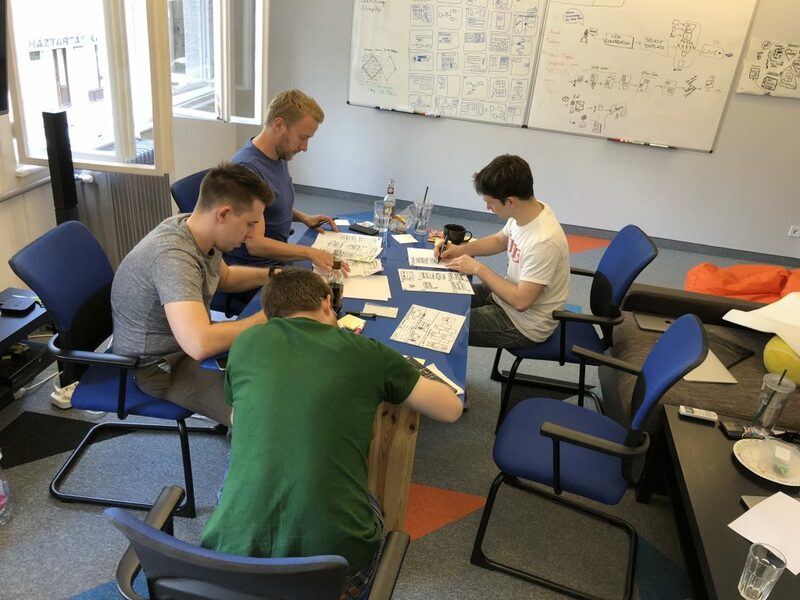 One of the most interesting parts in May was launching the revamp of our product development processes. 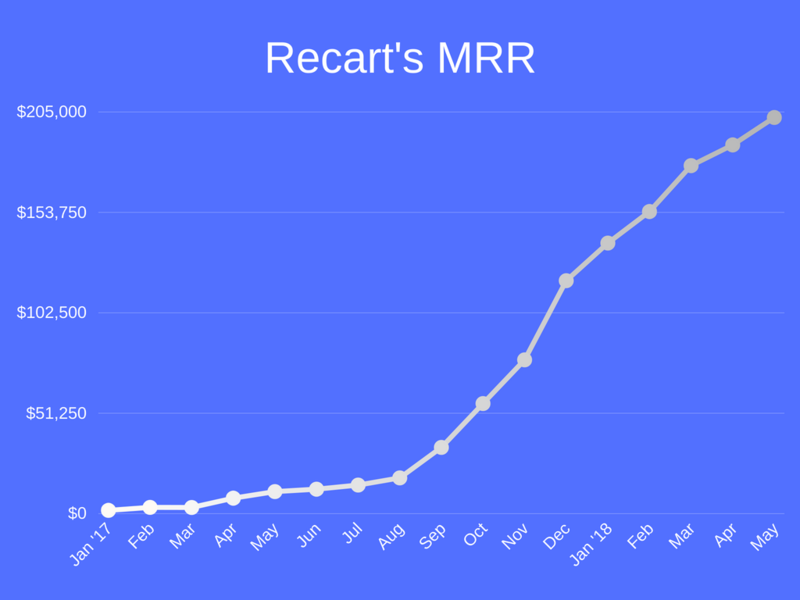 As the Recart team grows, our existing processes don’t work anymore. The way we communicate, create plans, manage projects are all obsolete now. Those were designed for a 10 people team; now we’re 25. We must take action and start redesigning our teams and processes from scratch. This will take some time, but it’s important to recognize: it is essential for scaling. 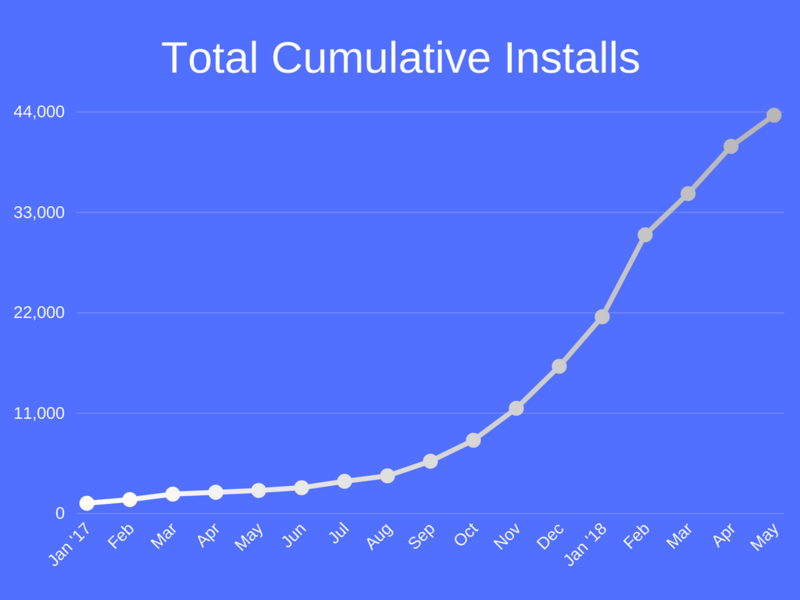 As our team grows and soon reaches 30 people, it is natural that most of our existing processes break. No matter how good your developers are, without skilled and experienced product leaders, it’s really hard to scale product teams. This change couldn’t start without our newest hire, Peter Fenyvesi. Fenyo came from Emarsys and joined us as the Head of Product. 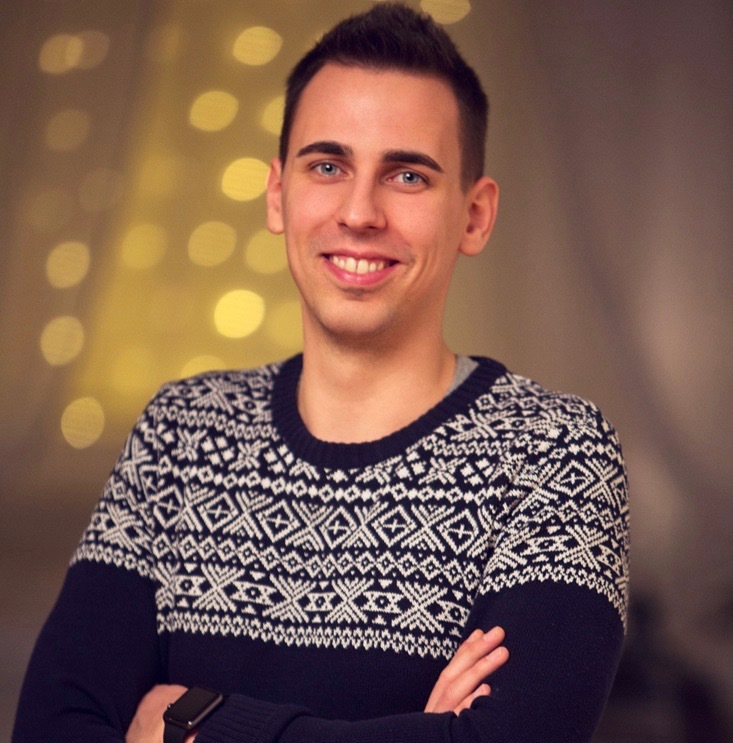 He’s going to help us to redesign our product team and speed up our development processes. Welcome, Fenyo! With Fenyo’s lead, we launched our first design workshops. We spent a week together and worked on the most important features coming in 2018. This workshop was the first step towards better features and better planning with enough context. 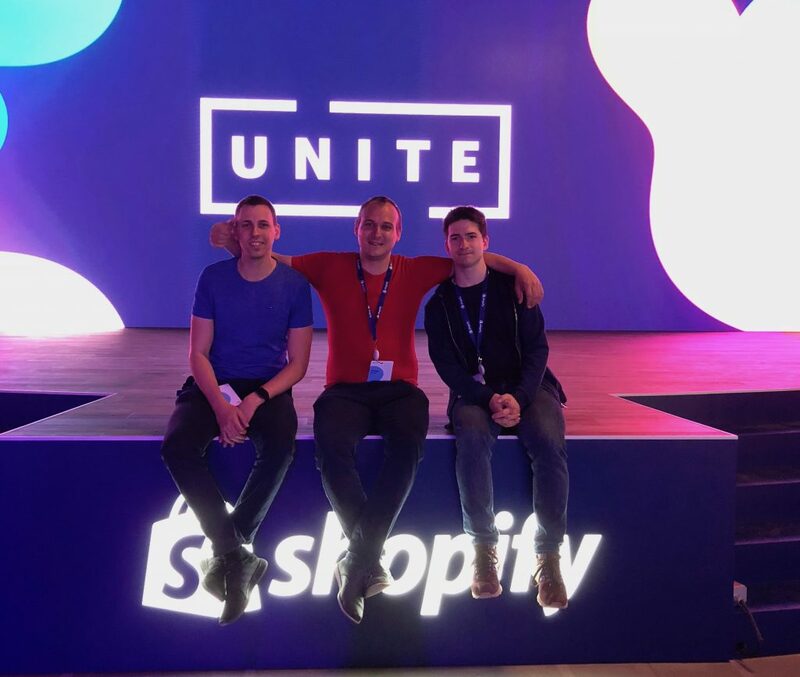 On the second week of May, we attended at Shopify Unite in Toronto, Canada. It was a wonderful experience. We met app builders, similar SaaS companies, Shopify leaders and employees, ecommerce experts and agencies. We could finally found a new office where we can scale to 50+ people easily. It wasn’t easy, the Budapest office market is quite crowded now. 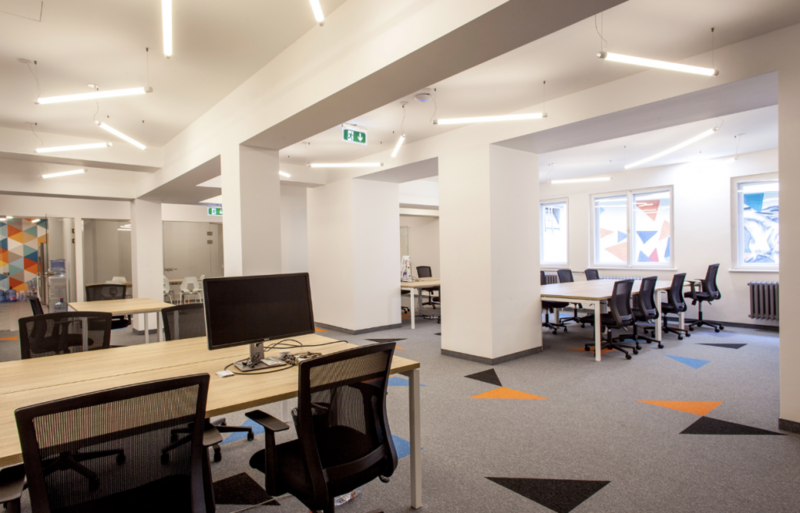 Eventually, we chose to move to the famous co-working Mosaik, where we got allocated spaces for the Recart team. We love it! Of course, we’ll continue the transformation of our teams, product and processes to get ready for scaling and move upmarket. In addition to that, we’ll focus on hiring more people and closing our round in July. We have open Senior Dev, Front-end Dev, and Customer Success Hero, Content Marketer and Sales Representative positions. In May, we grew with three full-time teammates and we plan to continue growing in June. 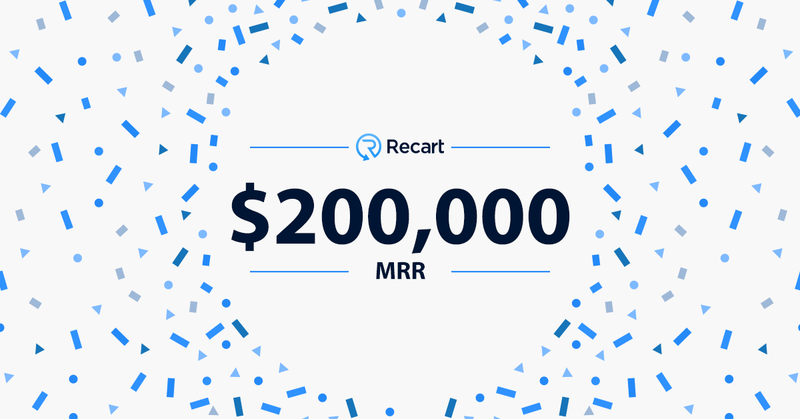 If you know anyone who’d love to join the Recart journey, please send them our way: career@recart.com. We’re on track to close our $2.5-3m in a convertible round by the end of July. We are not just looking for any source of funding, we want investors who can bring value to the company. There is still some space in the round so if you know anyone who’d be interested, shoot me a message!